The drive behind Brim is based on the company’s mission, namely to exercise responsible rules of conduct around the natural resource and adhere to scientific consultation in order to ensure the sustainability of the resource. Brim strives to maintain the highest quality standards and aligns with the order of priorities to support the goal of a sustainable fishery by responsible management. The company’s foundation is built on three cornerstones: Initiative, reliability and respect. The company’s employees are well trained and experienced with a variety of different education, so that every opportunity is used to improve the running of the business. Brim puts emphasis on reliability and maintains high standards closely linked to the market’s requirements. Respect for and knowledge of the ecosystem, the fish stocks and the environment likewise plays a leading role in the visionary drive. 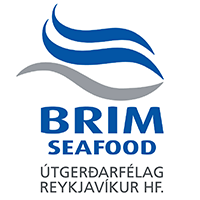 By coordinating the different resources such as allocated permissible catch, financial resources and good management, along with the knowledge and experience of its members of staff, Brim has secured good results and takes its place amongst the best fishing companies in Iceland.